After teaching (and studying ) second languages, I started to view language as part of a bigger picture: linguistics. Linguistics breaks language down into structure and grammar so it is easier to be taught and learned. And what are the benefits of our brains evolving and mastering linguistics? Mankind can communicate. Every language has their own spin on linguistics, creating a unique culture all their own. It’s no wonder France and Germany are so different, Italy and Spain. They are close geographically but have each developed in it’s own unique language and culture. Language is constantly changing and evolving. (There are over 1000 dialects in the world) My move to Europe, 2 years ago, taught me the benefits of being a bilingual individual. Most residents in big European cities are either bilingual or multilingual. In college, I began studying Spanish and continued my studies when I made my move to Spain in 2015. I would 2 and a half years has created a strong linguistic base. 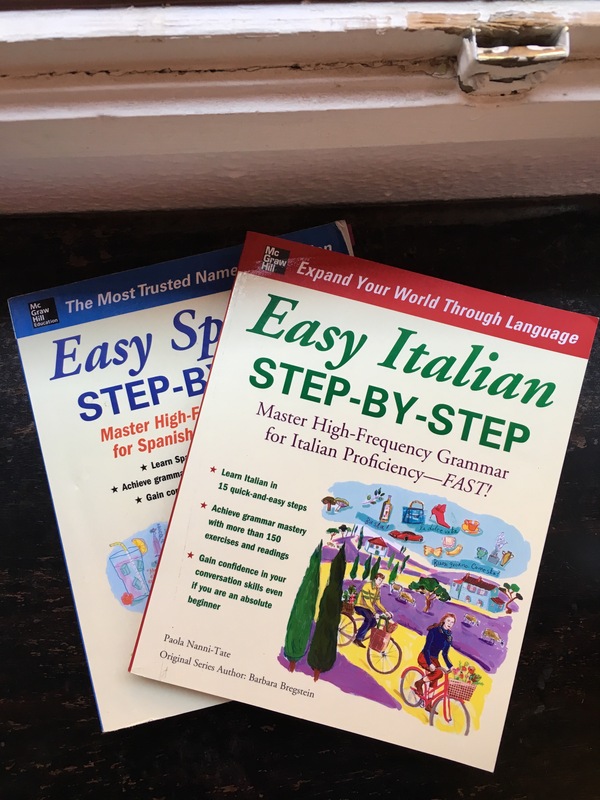 My next challenge is Italian. (will keep you posted on that one.) Right now I am currently living in Sevilla, Spain and speak mostly Spanish throughout the day. I also am able to continue studying with the help of McGraw Hill’s “Easy Step by Step” (as shown in the photo above). Recommended to anyone learning a language on the go. I hope this post helps anyone else currently studying a romantic language. Good luck and happy learning! Previous Post Road Trip | Portugal.